Anyone who’s lived in Fort Wayne, IN over the summer can testify how necessary air conditioning is to our health and comfort levels. The high summer temperatures are matched only the humidity levels, turning even the most insulated house into a steamy swamp in a matter of hours. In that environment you need an air conditioner that not only matches your needs, but will perform as advertised every day without fail. For that, you need a quality air conditioning service that can handle all kinds of calls for all different sorts of cooling systems: from installation to repairs to replacement. Collier's Comfort has over two decades of experience in the Fort Wayne areas. Call on an HVAC company you’ve grown to trust for all of your air conditioning needs. Call our team today to schedule air conditioning services in Fort Wayne, IN and the surrounding area. Installing a new air conditioner means more than simply bolting it into place. Power levels need to be balanced carefully against the size and the needs of your home: including such factors as sunlight exposure and the presence of insulation in your attic or crawlspaces. 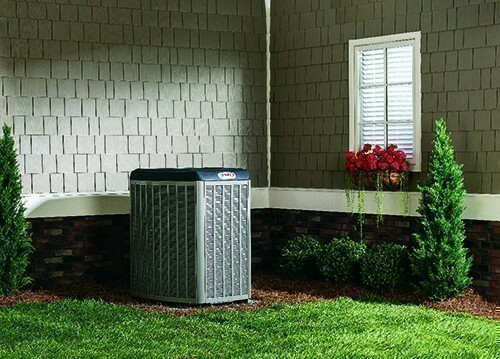 Underpowered units will struggle constantly to keep your home cool. Overpowered units will turn on and off rapidly: a process known as short cycling that wastes tons of energy and is very hard on your air conditioner’s components. The trained pros at Collier's Comfort know how to install new air conditioning systems the right way: making sure yours fits the parameters of your home perfectly. 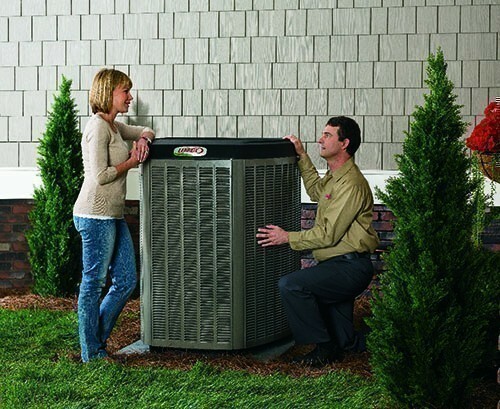 To ensure you have the best air conditioner to fit your home’s needs, call on our team today! We offer air conditioning installation and replacement services throughout Fort Wayne, IN and the surrounding area. To request an estimate on air conditioning installations in the Fort Wayne area, contact our team today! We’ll help you understand what your options are, and send a technician for professional service asap! Breakdowns are a concern for any appliance in your home, let alone one as important as your central air conditioner. But while we strive to provide quality AC repairs whenever you need them we also know that an ounce of prevention beats a pound of cure. That’s why we offer regular maintenance programs as part of our AC services: designed to give professionals a close look at your hose system and spot any repairs that may be needed. Air conditioning maintenance also corrects little issues like loose bolts and worn fittings, as a means of increasing the system’s efficiency and lowering your monthly bills. When applied over time, it can even help extend the life of your cooling system. When you’re in need of air conditioning repair in Fort Wayne, IN and the surroungind area, make our number the first you call. Our team is ready to go, and we offer emergency AC services 24 hours a day, seven days a week. Moreover, we won’t rest until your system is fixed the right way: making sure that the problem won’t crop up again a few weeks down the line. That way, you can rest easy knowing that your home will always be comfortable and that you have back–up in case your system runs into problems. Whether you need emergency AC repairs or would like to book a professional air conditioning system installation, Collier's Comfort is your trusted choice. Our technicians have years of training and experience to provide the best services possible. Simply give us a call to schedule air conditioning services in Fort Wayne, IN and the surrounding area.